Becker, Carolyn. Domingo A. Mercante. 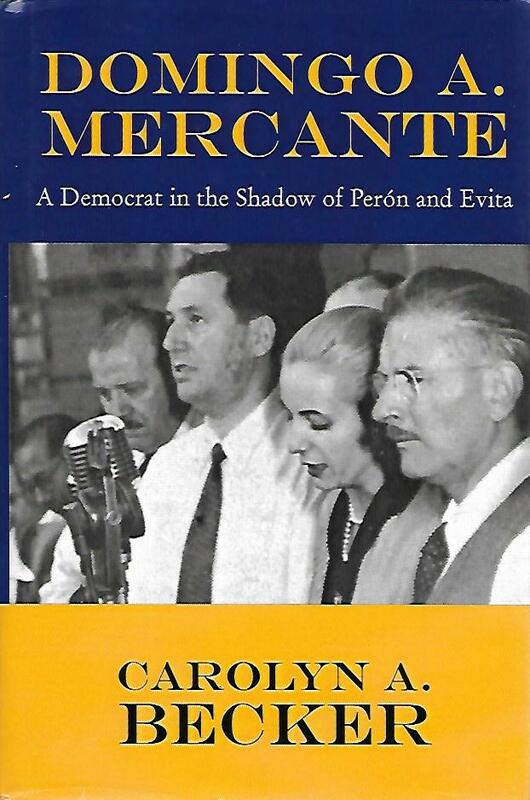 A Democrat in the Shadow of Perón and Evita. 1.Early life. 2. The army cadet. 3. A military career. 4. In the wilderness. 5. Cosnpiracy. 6. The juven 4 revolution. 7.Isabel Ernst.8. Making the social revolution. 9. The union strategy. 10. The San Juan earthquake. 11. The colonel and the actress. 12. 1945: a year of decision. 13. The last straw. 14. On the eve of change. 15. The calm before the storm. 16. October 17. 17. Labor secretary. 18. The candidate. 19. On the campaign trail. 20. Governor of Buenos Aires province. 21- the second man of the revolution. 22. The coknstitution of 1949. 23. Fall from Grace. 24. Expulsion. 25. Exile. 26. Later years.